It’s 8:57am. Someone just walked into work, and I looked at the clock and thought about how late they are. I get to work sometime between 7-8am. We don’t have set start time, 9-3 are observed business hours, so you’re just required to be there then; if you come to work that day. For those of you that know me, you know this is a complete turn-around for me. I had issues getting to work on time. I had a very strong work ethic, and worked like a donkey. But just had issues getting to work by even 9am. I was just too tired in the mornings. This might sound normal, because everyone feels like not getting out of bed in the morning. But it’s not that exactly for me. I’m tired in the morning, but I do feel like getting out of bed. I shower, get coffee, go to work. Then, around 3-5, when the coffee wears off, I start getting tired. I would be asleep by 10pm. So, it’s not that I wasn’t getting enough sleep. I was just exhausted. All. The. Time. Last year, I had a thought. I went to my doc for my annual blood work tests. I asked her to also test for my B-12 levels. She countered that no one checks for that, it’s not normal to test for it. But I insisted that I needed this test done. So, we did it. Guess what? It turns out I have a B-12 deficiency! I started taking a B-Complex daily, and after just 2 weeks, I started feeling great! It’s that moment when you realize that this must be how “normal” people must feel everyday! I never knew that a person can just not be exhausted. That’s the only state of being that I ever was. I thought I needed more sleep. But it was an actual deficiency. Point of this post is that every problem (even if you think it’s not a real problem), has a solution. And, talk to your doctor. Make sure you see your doc at least once a year, and actually DISCUSS your life/lifestyle/food/activities with them. Mention your concerns, and how you want to live your life. Ok, now to talk about B-12 stuff. This is all stuff that I did not know a year ago, but I have done a lot of talking with others and research. First is a little TMI, but it’s something no one ever tells you! When I started taking B-Complex, I was shocked that my urine was like neon yellow! Nobody tells you that this is going to happen. I was at work, and went to go pee. NBD. But I was concerned when I saw the vivid yellow urine in the toilet bowl! I’ve always known that your urine is supposed to be the faintest of canary yellow; that’s how you know you’re staying hydrated enough. But apparently, this was normal, for your urine to be that color, so don’t worry (like I did). Second, this one’s very simple, but it’s just got complex words. There are 2 types of B-12: methylcobalamin and cyanocobalamin. 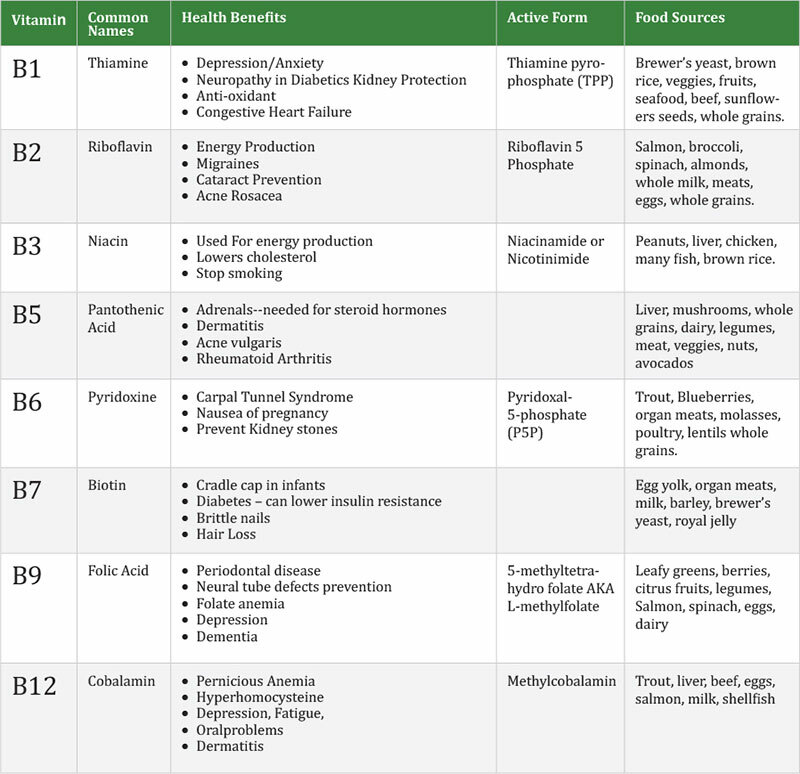 Let’s break it down; cobalamin just means B-12. The prefixes are the different types. Cyanocobalamin is a man-made version containing some cyanide. It’s allowed because the amount of poisonous cyanide in it is so small and insignificant (according to the FDA), and your liver can process it. I decided that’s not for me (or my parents, so I buy their B-complex myself and have it shipped to them). The other kind is methylcobalamin, which is the natural form of it. The best kind is raw, which is what I order for my dad. I get the Garden of Life brand for him; I get it from Vitacost, which I linked, and if you want to order from there, let me know. I’ll send you a referral and we both get $10 off!